RADIO Christian Voice (RCV) is making expected contributions to national peace by asking people to record messages that are denouncing political violence. The segment dubbed ‘Raise your Voice’ has recorded voices of both prominent and ordinary citizens identifying themselves as Zambians and then call for the end to political violence. RCV being a Christian broadcaster has indeed lived by its mandate as pioneers in transmitting messages that go beyond the basic tenets of radio programming. 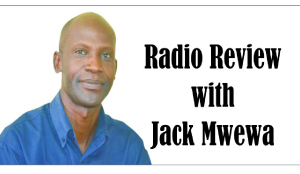 Considering that Zambian listeners have great regard for what is said on radio, such messages of peace are timely and taken seriously, and there is no doubt that whoever hears that information will put it into practice. 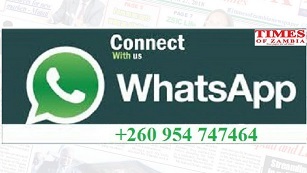 It was on Zambia National Broadcasting Corporation (ZNBC) radio main news we heard that Electoral Commission of Zambia (ECZ) had extended the voters’ card verification exercise. We bring out this item considering that in a recorded ECZ programme hosted by Ben Kangwa who featured the commission’s public relations manager Cris Akufuna, it was stated that voters’ record verification would not be extended. Obviously, such are slip-ups that come with recorded programmes that radio managers may not have control over. One of Zambian artistes, Cactus may not be a big name in the local industry, but his latest song titled ‘Chasing the Wind’, is unique. In the wake of the so many songs done by local artistes who sing about nothing but love in explicit language, ‘Chasing the Wind’ which played on one radio station is a song about morality. I would like to concur with you on your observation that Radio Icengelo reception is sometimes not clear. With that kind of reception, some of us are forced to search for other channels that maybe clear. This brings me to Zambia National Broadcasting Corporation that they must improve their signal for Radio 1 and 2 here in Ndola. Mr Mwewa, Ndola is a big city that needs to be connected to the national broadcaster. Allow me space in your column to express my satisfaction for one Radio Deejay I feel deserves commendation. Of all the DJs that present the breakfast show, I find DJ Cash Money so refreshing. His music selection, improvisation and general presentation is first class. I am a keen follower of your column every week, I read in one of your articles about an organisation you said would be holding some kind of awards for radio personalities. May I, therefore, wish to find out how far the organisers have gone with that event, when is it starting? Or have they already started? Who is eligible to enter for those awards? Response; “Dear concerned broadcaster, It is interesting to hear that you follow this column. Yes, we reported about that organisation and the awards that would be introduced. We spoke to the organisers who have confirmed working behind the scenes. It will be about appreciating and recognising deserving men and women in the radio industry. The aim of the awards is to acknowledge and recognise those individuals and organisations that combine talent, hard work and skill that keep their listeners compelled. It is believed that the move will inspire people wishing to enter the vibrant and dynamic industry. Winning any of the awards should, therefore, be key achievement, something to be added to the individual’s or the station’s pedigree. The categories will include; breakfast show presenter, field news reporter, afternoon drive presenter, community presenter, news and actuality presenter, sports reporter, sports commentator, traffic presenter, producer, business, finance, documentary, music show, late night show and others. There will also be separate awards for radio stations such as station of the year, community project and others. Like any other awards giving ceremony, terms and conditions shall apply. Below is word by word response from the organisers; “Hi Jack, talk to me my man. Let me take this time to appreciate the work you are doing concerning the radio industry, we have so far followed you in your reporting and some pertinent issues you keep bringing out week in, week out. The project you are talking about is still underway, we have been working behind the scenes for some time now, and I can confirm that a lot of ground work has been done. We are Kalimba Radio and Television Awards, or (KARAT) in short.